1305952308 -This updated Eleventh Edition of COLLEGE PHYSICS helps students master physical concepts, improve their problem-solving skills, and enrich their understanding of the world around them. 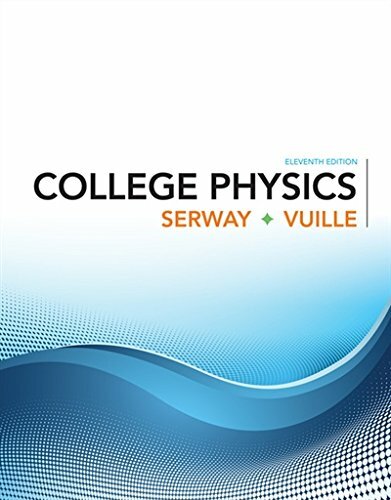 Serway/Vuille provides a consistent problem-solving strategy and an unparalleled array of worked examples to help students develop a true understanding of physics. Supported by WebAssign, Interactive Video Vignettes, learning tools, and applications, this edition is enhanced by a streamlined presentation, new conceptual questions, new techniques, and hundreds of new and revised problems.